Cause‐related marketing (CRM) is one of the most relevant corporate social responsibility (CSR) initiatives nowadays and is being employed by numerous brands across product categories. The most important characteristics are (1) there is a link between a for-profit business and a non-profit organization (NPO) in order to support a social cause and (2) corporate donation is conditioned by sales, that is, CRM ultimately depends on consumer behavior. In this chapter, we focus on CRM programs carried out in a digital context. Thus, our aim is to understand their fundamental features and the main digital technologies used. Our findings show a massive use of digital technologies in CRM campaigns. Different digital tools are currently combined in the same program, complementing them with conventional mass media. The main advantages of this combination are a quick diffusion of the CRM programs, and a global impact. 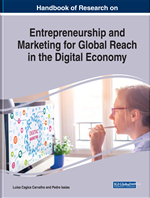 In this part, we review the main concepts – Corporate Social Responsibility (CSR), Cause-Related Marketing (CRM), and digital tools –, and study their relations. For-Profit Organization: An entity whose main aim is to obtain monetary profit (e.g. a company that seeks an economic purpose). Nonprofit organization (NPO): An entity whose main aim is not to obtain monetary profit (e.g. that seeks a social purpose). Cause-Related Marketing (CRM): A CSR initiative that consists of an agreement between a company and a nonprofit organization to collaborate on a social cause, obtaining a mutual benefit. The company’s commitment is focused on contributing (monetary or in kind) to the cause in terms of sales (therefore the donation will depend on consumer behavior). Social Cause: An idea, opinion, attitude, value, or behavior that is socially desirable. Digital Tools: Instruments that use internet and other new Information and Communication Technologies (ICT). Consumer Behavior: Activities that are carried out by an individual, since he/she has a need until he/she buys, consumes or uses the product, and evaluates it (its satisfaction level). Several aspects are considered in consumer behavior: what, why, how, when, how much/many, where individual buys and consumes the product, the purchase decision process, and the different variables that influence on it.